Henrik Lundqvist will try and extend his personal winning streak to five consecutive games when the New York Rangers play the Tampa Bay Lightning at Madison Square Garden on Saturday. Lundqvist has won each of his past four starts, a season high, with a .912 save percentage and 2.50 goals-against average. The Rangers have won five of their past seven games, including 4-3 against the New Jersey Devils at Prudential Center on Thursday, when center Mika Zibanejad had his second career hat trick. Zibanejad has eight goals in the past five games and the game-winning goal in each of New York's past four victories. The League-leading Lightning (78 points) are playing the second game of a back-to-back after defeating the New York Islanders 1-0 in a shootout at Nassau Coliseum on Friday. They lead the NHL with 3.88 goals per game, but have scored two or fewer in five of their past six games (3-3-0). Lightning defenseman Victor Hedman, who scored the shootout winner against the Islanders, has five points (two goals, three assists) in the past four games. Rangers right wing Mats Zuccarello has points in each of the past six games he's played (four goals, eight assists). Buchnevich will start the game on a line with Hayes and Fast after getting an assist on Zibanejad's game-winning goal in New Jersey. Buchnevich was scratched the previous game against the Philadelphia Flyers on Tuesday. Stralman and Callahan could be back in after being scratched against the Islanders. Martel was also scratched against the Islanders. This is the 100th meeting between the Rangers and Lightning. The Blueshirts have won 48 and lost 46 (including seven OTLs), with five ties. Henrik Lundqvist's fourth save on Thursday night in Newark moved him past John Vanbiesbrouck into eighth-place on the all-time saves list. 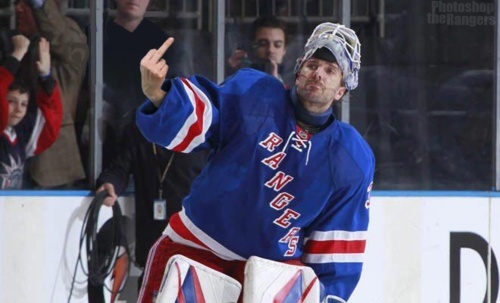 Lundqvist has stopped 22,219 shots in regular-season games. Zuccarello will be playing in his 500th NHL regular season game, all with the Rangers. Nikita Kucherov leads the NHL with 79 points (22-57-79). He has been held off the scoresheet in three of the last six games, after being held scoreless in just eight of his first 45. He has no goals in his past six games and two in his past 10. Since the start of last season, only Connor McDavid (181) has more points than Kucherov's 179. Hedman needs two points to reach 400 for his career (89 goals, 309 assists). It's becoming obvious it's not TD play. It's other things he's doing. Hmmmm. Location: USA DQ is turning to Av more and more. Fast playing top lines while taking dumb penalties and hasn’t contributed anything but falling constantly on his arse. DQ is turning to Av more and more. Location: New Jersey They could be show casing other defensemen with the trade deadline coming, and teams will always be looking for depth on D.
It will be a relief for us because who knows what stupid idea DQ will get. Location: USA If Fast gets traded I want two high first round picks. One to replace him on the top line and the other one to replace Fast replacement if he gets injured. I heard chants in Winnipeg... Iran #1! Location: USA Also I want that puck and Fast’s arse in red tonight during the shots on goal.I wonder who gets there first,the puck or Fast’s arse. We will close the border with Canada. They could be show casing other defensemen with the trade deadline coming, and teams will always be looking for depth on D.
I agree with this. Tony D might be higher on the not available list than the guys playing. If Fast gets traded I want two high first round picks. Well then we would have to throw in a 7th rounder to it. Location: Cayman Islands NHL record before the puck drop. Most African Americans to ever attend an NHL game. anybody miss Callahan and his salary? NHL record before the puck drop. Most African Americans to ever attend an NHL game.